The durable Cable Splicing Knife is one of the technician's essential tools and belongs in every tool kit. 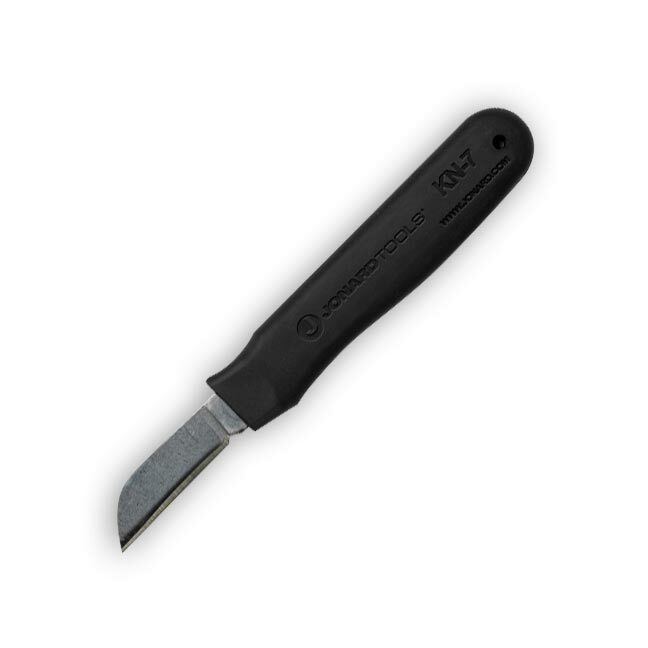 It has a 1.75 inch cutlery-steel blade for long-lasting durability, and features a non-slip, easy-to-grip handle for better control and less hand fatigue. The KN-7 is an ergonomically designed Cable Splicer’s Knife that has a TPR (Thermoplastic Rubber handle) for a non-slip easy grip feel. 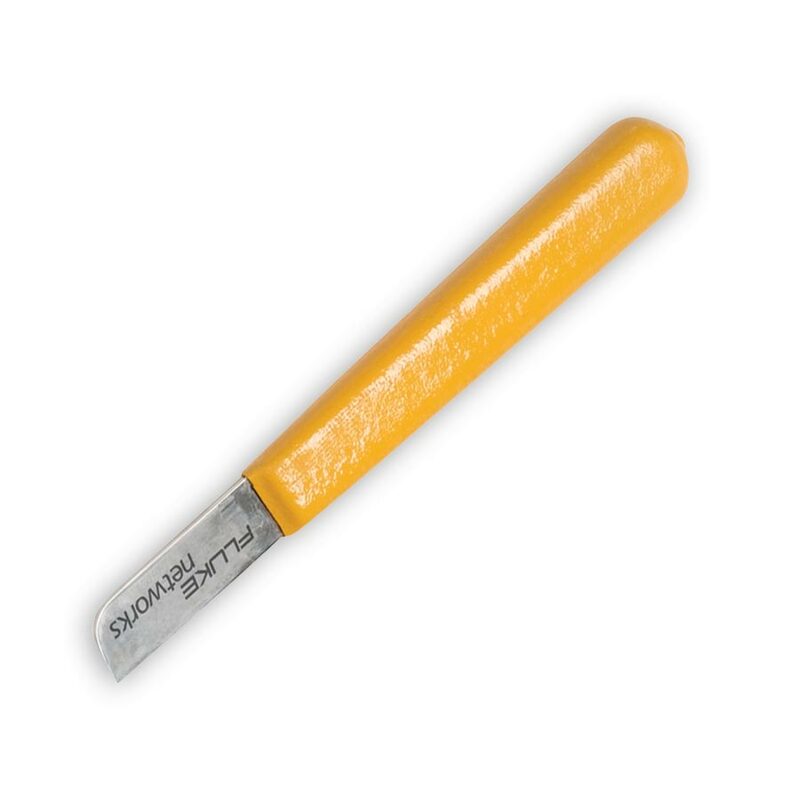 The tough cutlery steel blade is extremely sharp and cuts through many types of insulation. - Blade length is 1 3/4"
- Overall length is 6 1/4"